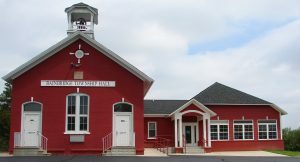 2018 PROPERTY TAXES CAN NO LONGER BE PAID AT BAINBRIDGE TOWNSHIP HALL. YOU MUST PAY OVERDUE PROPERTY TAXES AT THE BERRIEN COUNTY ADMINISTRATION OFFICE, 701 MAIN STREET, ST. JOSEPH, MI. Spring has Sprung! A fresh start from a very long winter. We wish all farmers a very prosperous farming season. LIBRARIES: Bainbridge Residents are in the Coloma Library service area. You will need to provide the following information: name, address, phone number, township of residence, location, date and time you are burning.